The scheme, PMGDISHA has been implemented to provide digital literacy to the households who are living in villages and are not accustomed with the present day’s modern technologies such as computers, e-mails, smart phones, etc. This scheme will target people from every Panchayat and educate them through digital means. This project is one step closer to achieve the target of having ‘Digital India’ by the year 2019. This digital literacy project is projected as one of the biggest literacy projects to be ever implemented in the world, to promote digital literacy, in terms of its huge target group and budget allocation. The scheme aims to provide digital literacy to around 6 crore people living in villages by the end of March, 2019 and help them be the part of the new Digital India. By doing this, at least one member of each house in rural India will be digitally sound and empowered. In a survey made in the year 2014 by the NSSO, it was found that an alarming low rate of the village and rural population were accustomed to the computers and other digital technologies. As per that survey, only 6 % of the rural households had some sort of digital literacy and the rest 94 % which is around 16 crore households were totally unaware of present days’ digital technologies and media. The government has made breakups of the implementation target of the PMGDISHA project for each financial year. For 2016 – 2017, a total of 25 lakh people will be brought under the scheme. For the Financial year 2017 – 2018, the target is to provide digital literacy to around 275 lakh villagers. And for the last financial year i.e. 2018 – 2019, the government will ensure that about 300 lakh rural candidates will be targeted. The central government along will full collaboration with the governments of all states and Union Territories will ensure that the PMGDISHA project is implemented through all lengths and breadths of the nation. As per the scheme plan, every Gram Panchayat will be responsible to register around 200 – 300 rural people under this scheme. A rough estimate of 2.5 lakh Gram Panchayat will be participating. The Government has also set up state wise targets which will amount to the total 6 crore beneficiary targets by the end of March, 2019. The state wise target for the PMGDISHA project implementation is given in the link- https://www.pmgdisha.in/tptarget. The scheme is meant only for those candidates/citizens who reside in rural areas or villages. So members of urban population are not eligible to register under this project. Digital training will be provided to only one member of each eligible household. Thus, one eligible household will mean that no member from hat family is digitally literate. The lower age to join the project is 14 years where as the upper age limit of registration is 60 years. Special attention will be given to those who have also registered for adult literacy mission, school and college drop outs, school students who do not have computer facility in their schools, etc. Also the women candidates, candidates from backward communities, SC/ST categories, and religious minorities will be given priority. The eligible candidates from each such eligible rural household will undergo digital training at designation training centres. The fee charged for digital training at CSC-SPV, per candidate is Rs. 300. Apart from this, an examination fee of Rs. 70 is charged. However, these fees will directly be paid by the Government to the authorized training centres. The Central government has made a huge fund allocation of Rs. 2,351.38 crore for the implementation of the entire scheme. One mobile App will also developed and introduced soon which will contain all digital training content for the candidates undergoing training. The digital literacy content will be available in 22 different Indian languages for better scope of understanding and learning. Apart from this, the mobile app will also have audio visual learning material for those who are unable to read or write. Another mobile app named the – GeoTagging Apk is also provided under this scheme where one can easily search and locate the training centres in their state or district. For online registration of new candidates, one has to visit the link- https://pmgdisha.info/login. Then click on the ‘Register’ button for new candidate registration. Provide the 12 digit Aadhar card number of the candidate which is mandatory for joining the training programme. Then the next step is E-KYC which can either be done by fingerprint scanning, or eye scanning or through mobile phone OTP validation. Those who do not have access to finger print scanner or retina scanner may proceed with the third option of OTP mobile phone verification. Provide a valid mobile number where an OTP will be sent. Enter the correct OTP in the space provided and press the button- ‘Validate OTP’. Then visit the Students tab and fill up / check all details. After one time registration, the students may access their accounts through the newly generated User ID and Password. The candidates who will join the scheme will not need much documentation apart from their Aadhar card number. The affidavits are to be provided on stamp paper and duly notarized by appropriate authority. The details of documents required by the training partners and centres are provided in the portal- https://www.pmgdisha.in/trainingpartnersdocs. The training partners under the PMGDISHA project must be registered within India with proper registration certificate and affiliation to provide IT/ computer training. They must have PAN and IT returns audited for last 3 years. The technical committee of CSC-SPV has organizations such as – NASSCOM, IGNOU, IIMC, NIELIT, NIESBUD, IIMC, NIIT, NIOS, INTEL, HP, etc. Apart from that, civil society organizations like Digital Empowerment Foundation (DEF) or IT for Change (ITfC) are also involved as CSC partners. PM Modi has mentioned on several occasions that Indians must learn to apply technology in their daily lives. It is the only way to keep pace with other nations. 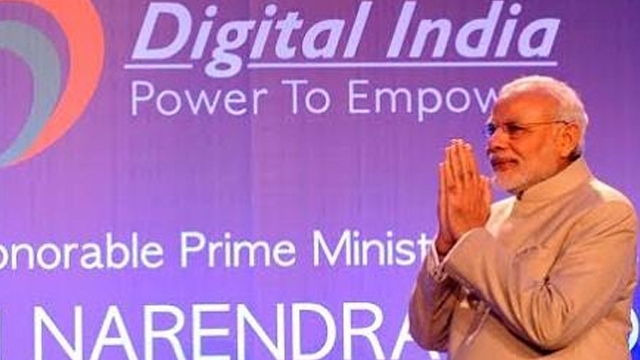 He has taken several steps to ensure the success of Digital India mission. In this respect, Assam state government launched Pradhan Mantri Gramin Digital Saksharta Abhiyan. CM Sarbananda Sonowal announced on this occasion that around 1500 centers will be established under this project. Common people will be able to attain training to operate all digital communication gadgets. The state authority desires to attain the target of creating 19 lakh digitally literate households in the state by end of March 2019.